AMX M4 mle. 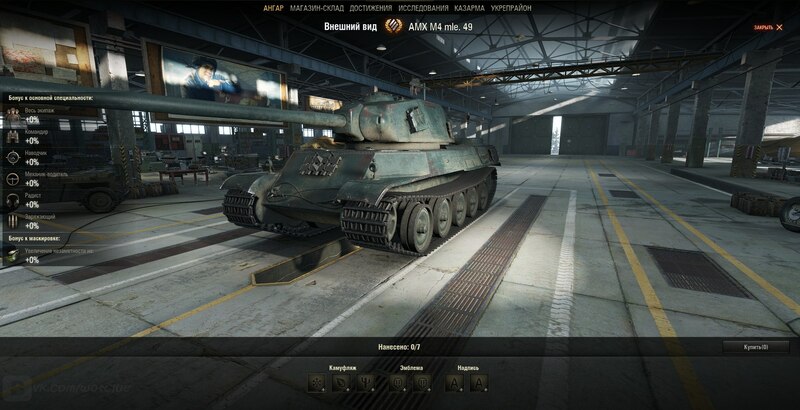 49, French Tier VIII Premium Tank will be available for the Russian Server from 21th October to 7th November, in the Premium Shop. This could mean other servers will get it soon also, but no confirmation on this. I’ve personally tested this tank at Tankfest 2016 and I found it very powerful and a very good credit maker. Let’s see when it can hold to his reputation when it’s released. Will it be a replacement for FCM? Will the FCM be dropped from sale? Not sure, but the FCM is really popular so I find it hard to believe they would remove it (just like the Super P or IS-6). I think this tank is meant to introduce the playstyle for the second line of French heavies which have strong armor and big alpha guns (like the T34). The T34 used to be the standard Tier 9 Heavy tank.